As icy relations with North Korea have begun to thaw following diplomatic efforts earlier this year, talks have begun about cultural exchanges where previously few exchanges have occurred. Seoul took the initiative in soft diplomacy. Bae Ki-dong, director of the National Museum of Korea (MMK), said he asked the Korean Central History Museum of North Korea in Pyeongyang to lend a bronze statue of King Taejo of Goreyo, also known as Taejo Wang Geon, for the state museum's largest exhibit, dubbed "Goryeo: the Glory of Korea," later this year. Bae said the museum has high hopes of a historic encounter between the Wang Geon statue with the wooden sculpture of Monk Huirang from Haeinsa Temple in the Goryeo exhibit. Huirang is the founder of the temple and known as a mentor of Wang Geon. "We've sent a list of artifacts we hope to include in the big Goryeo exhibit to North Korea through the Ministry of Unification. In addition to the Wang Geon statue, the list includes movable metal type excavated from Manwoldae, a Goryeo palace in Kaesong, Goryeo celadon and craftwork," Bae said during a press conference Tuesday. "We also suggested how we can collaborate for museology in North Korea. We can lend our collection to the Korean Central History Museum and vice versa and make a catalogue encompassing relics from the two Koreas. We are willing to provide technological assistance for conservation science as well." Bae said the Goryeo exhibition, which is being held in celebration of the 1,100th anniversary of the ancient nation's founding, is a perfect opportunity to collaborate with the North as Goryeo was a dynasty that embraced regions in what is now both North and South Korea. "I hope to show the identity of Korea's ethnic culture through the Goreyo exhibition," the director said. The 66-year-old is an expert in museology. He is an archaeologist and anthropologist and previously served as president of the Korean Museum Association and chairman of the Korean National Committee of the International Council on Museums. Since Bae took the helm in July 2017, he has taken a set of measures to bolster the foundation for the museum to take steps toward the future. "It's been a year and I've been thinking about what I've done during that time," Bae said. "It is difficult to specify what they are, but I think we worked on where the museum should be headed in this rapidly changing society." According to Bae, the NMK has two major social responsibilities. 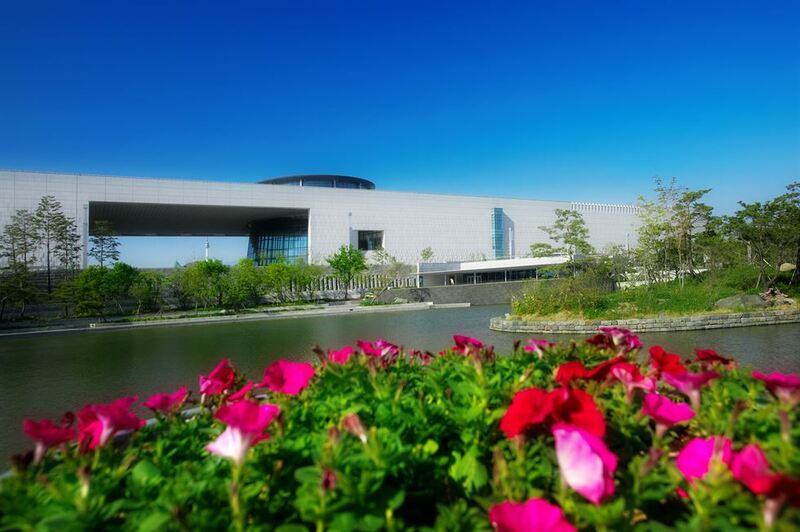 "The national museum should promote the identity of Korea to our people as well as to the world. As a cultural organization, it should provide cultural enjoyment for the people," he said. "I think a museum has to be a friendly place in this digitalized and individualized era as all people can share cultural and social values at the museum. Everyone is equal when they come to the museum." Under the direction of Bae, the museum will introduce more international relics in the age of globalization. "We will establish a world heritage hall, consisting of a world ceramics gallery and a world civilization gallery, on the museum's second floor by 2020," Bae said. The ceramics gallery will feature artifacts excavated from the Sinan Shipwreck site and early porcelain from Korea, Japan, China and Europe, highlighting the history of the ceramics trade. The civilization gallery will introduce major civilizations and cultures from around the world. Some of the relics will come from exchanges between museums overseas. "We are in talks with the Brooklyn Museum to exchange exhibitions. They have a lot of Egyptian artifacts not on display and we can borrow those for about two years. In return, we can offer Korean cultural assets from our collection currently in storage," Bae said. "A few other museums are interested in the exchange." Bae understands the importance of the museum to provide digital content. "We will make a digital version of the museum as a new platform for people to approach the museum. We will digitalize our content and provide it for exhibition and education. It could help international institutions interested in organizing exhibits on Korea," the director said. Currently, the NMK collects artifacts from prehistoric times up to the early 20th century. Bae aims to widen the range from a future-oriented perspective. "This is an essential shift for the future. If we strategically collect contemporary artifacts, we can expand the museum's collection without spending a lot of money to purchase them later."